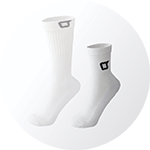 owayo handball socks are available in 2 different lengths. 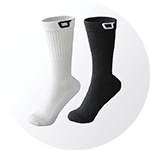 Solid black or white socks can be ordered in any quantity. 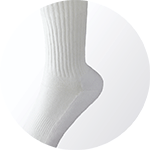 The BAS5 Pro sport socks are reinforced in key areas to provide additional support while running and jumping. They come in 2 different lengths. 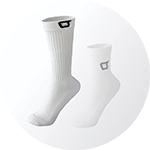 In Stock items can be ordered in black or white and will feature an owayo logo - Custom socks (MOQ – 50 pairs) can be outfitted with a logo or a team name. 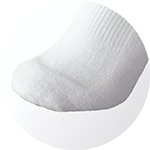 owayo handball socks are available in solid black or white.